This cross cut paper shredder is library quiet with a compact footprint making it perfectly suited for a small office. 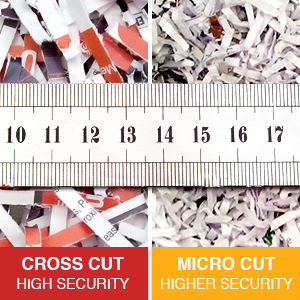 Shred your documents securely with ease. The secure cross cut particles result in excellent waste reduction.